19-year-old Yasmina will participate in the upcoming ECOSOC Youth Forum in New York on January 30-31st, 2017. 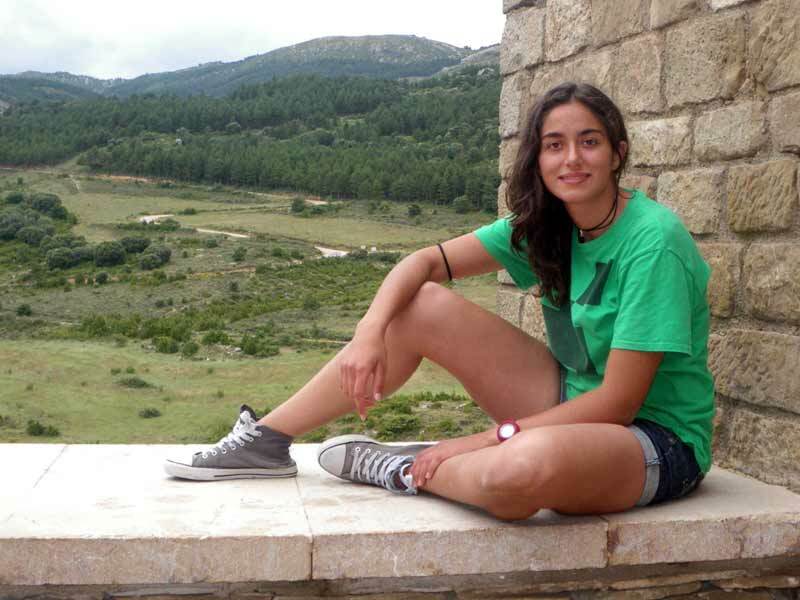 Yasmina grew up in the SOS Children's Village in Zaragoza, Spain. She shares how she came to SOS Children's Villages and what her experience has been like. I was born on the 16th of November 1997. I used to live with my parents and my little sister – just like any other child. That all changed when I was seven years old. My mother passed away, and the situation at home changed and got more complicated. We had economic difficulties, and my father didn’t take proper care of us so a social worker started to visit us. She came home every week to see how we were and to counsel my father. Eventually, the situation got worse, and Social Services decided to move us to the SOS Children’s Villages in Zaragoza. I was 12 by then. I didn’t want to leave my father, so I didn’t want to go to the Village at the beginning, but they made me see it was the better solution for my sister and me. When we arrived I was so surprised. It was different from what I had thought. It was a nice and quiet place. It was summer and a lot of children were in a holiday camp. There were few people and we found it easy to settle in. It was a big relief to forget the worries that I had, which, I know now, were not things that someone my age should have to think of. It was easy to adapt to the routine in the village thanks to our SOS mother. It was rewarding to know that she was going to be by my side every time I had a problem. We lived together, my sister and me, with two children who were siblings. As I was the oldest of the four, I felt like the “big sister” of the group. We had a new opportunity, in a new school, with new friends. In my previous schools I had always been teased and taunted, but in the new school I found a group of very good friends. I could not have been happier. I had all I needed to focus on what I wanted, and I had the unconditional support of my SOS mother. I could not be more grateful. Now I’m 19 and I’m studying Computer Science Engineering at the University of Zaragoza. At the beginning, people were very surprised when I said I wanted to be an engineer, but thanks to SOS Children’s Villages I am realizing my dream.